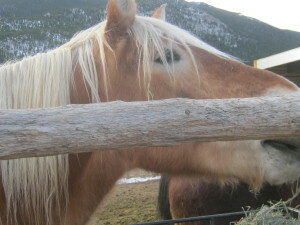 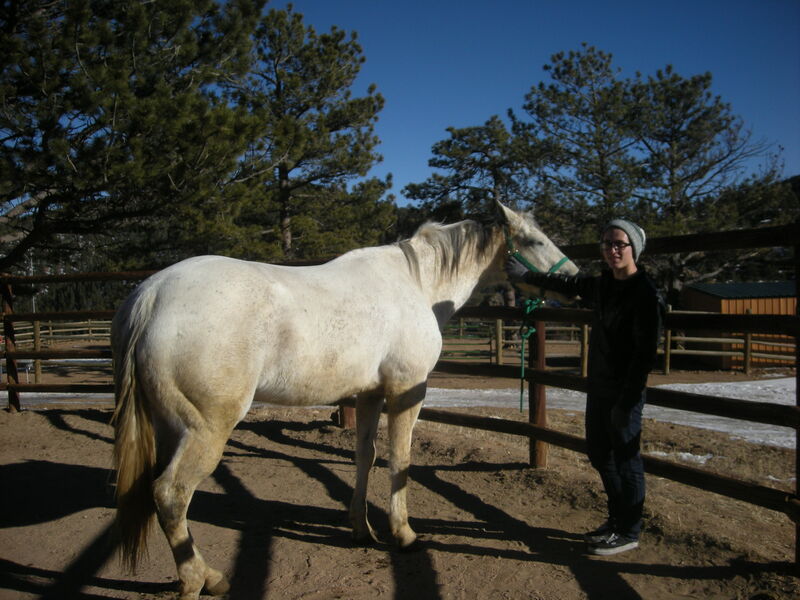 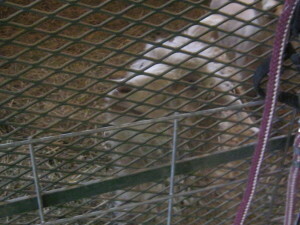 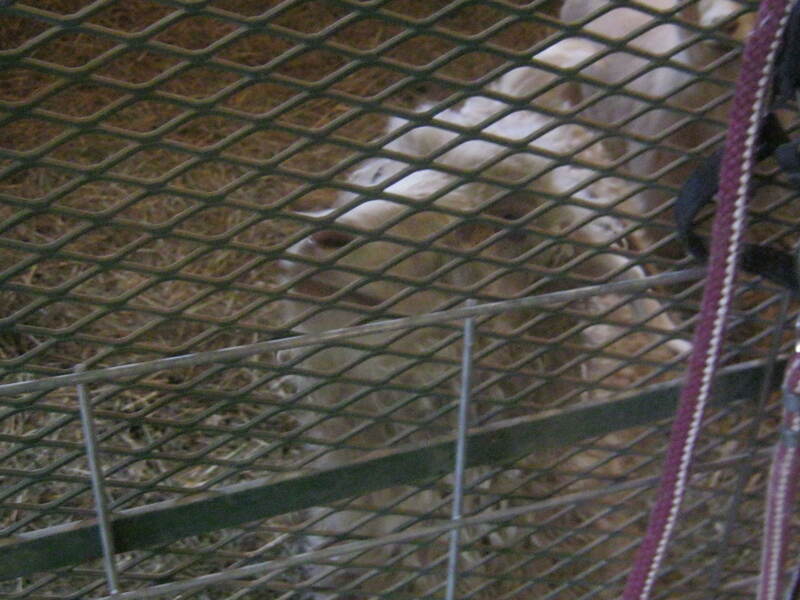 More highlights from today include hanging out with fellow students and *drumroll* . . . . . . more time with the horses! 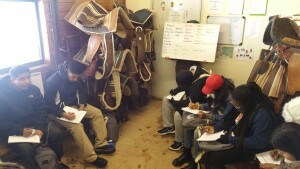 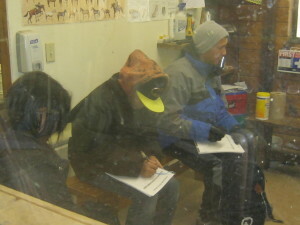 Students were schooled in the names of the horses, parts of a horse, types of equipment, how to approach a horse, and other such horse etiquette. 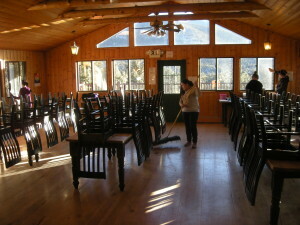 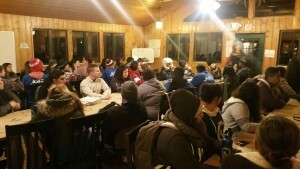 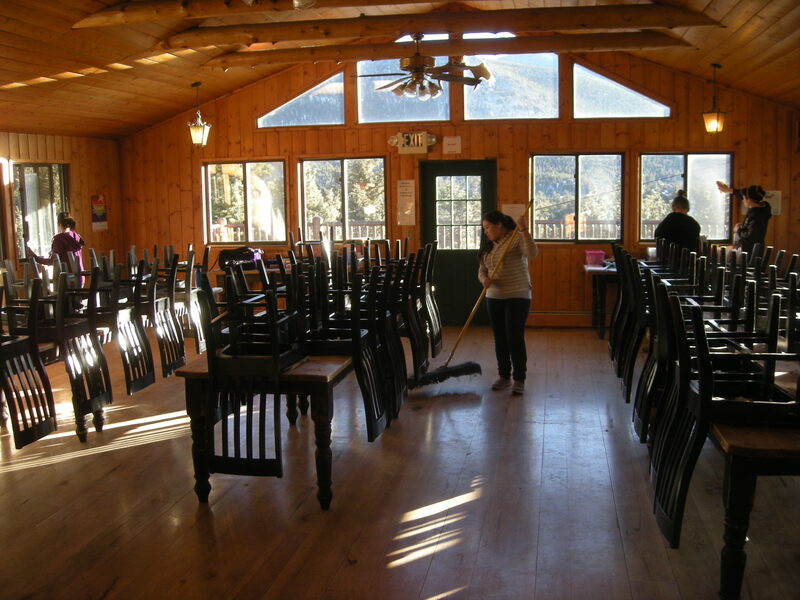 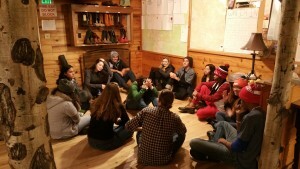 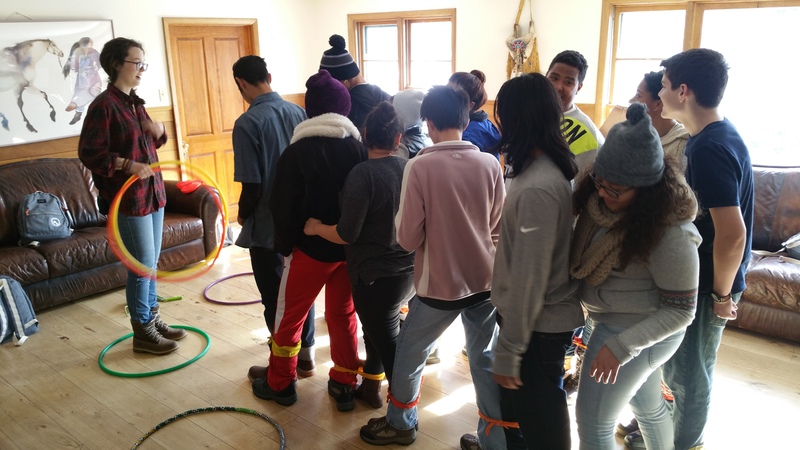 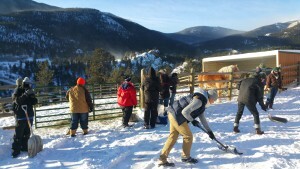 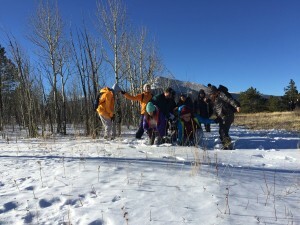 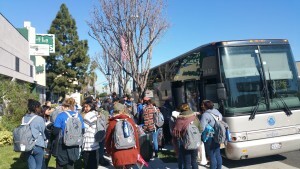 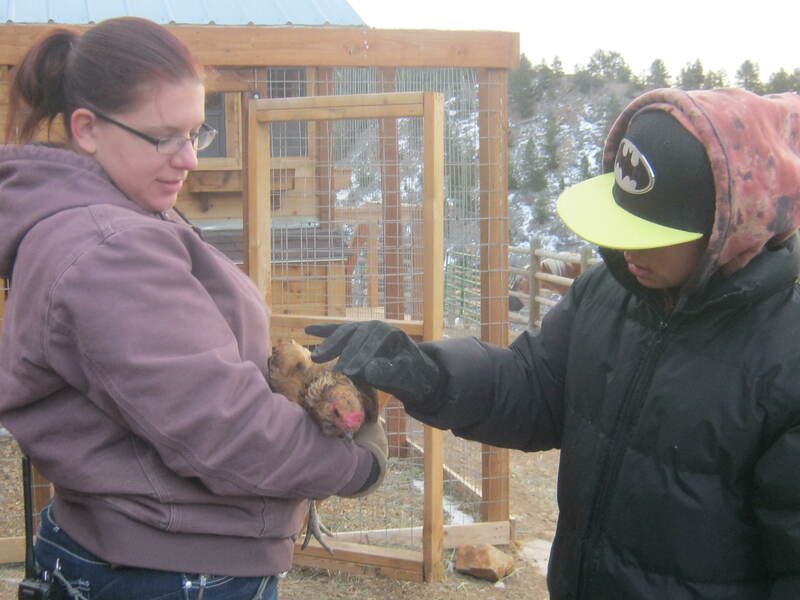 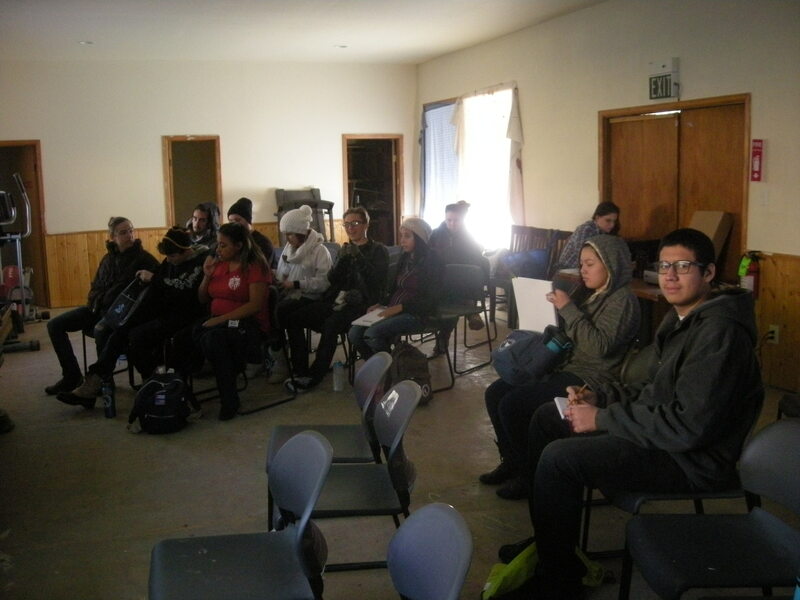 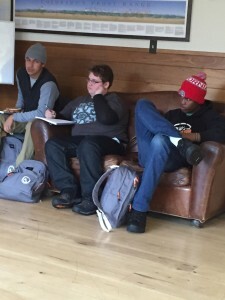 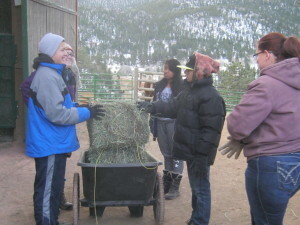 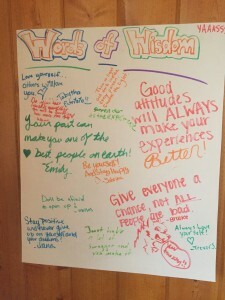 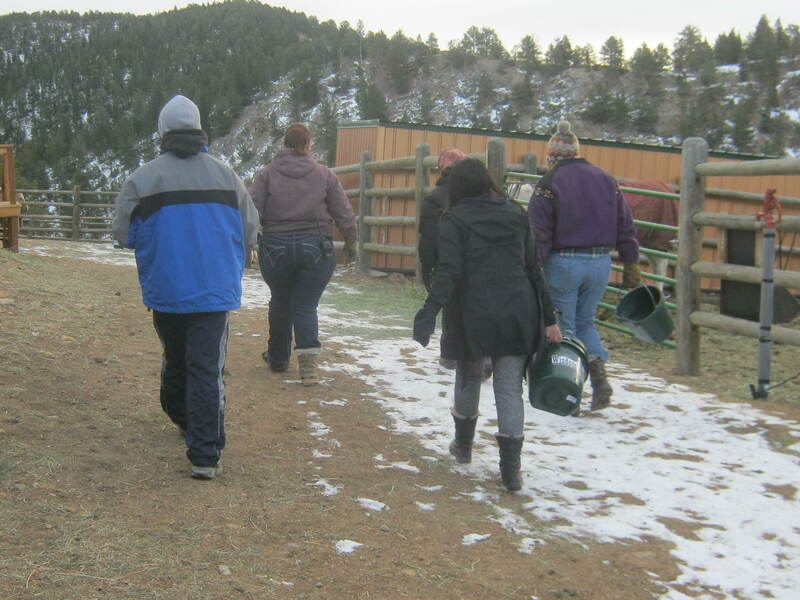 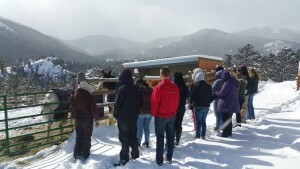 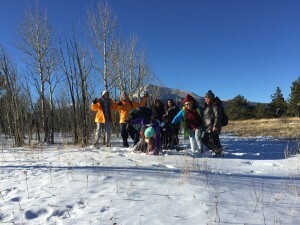 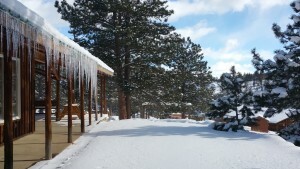 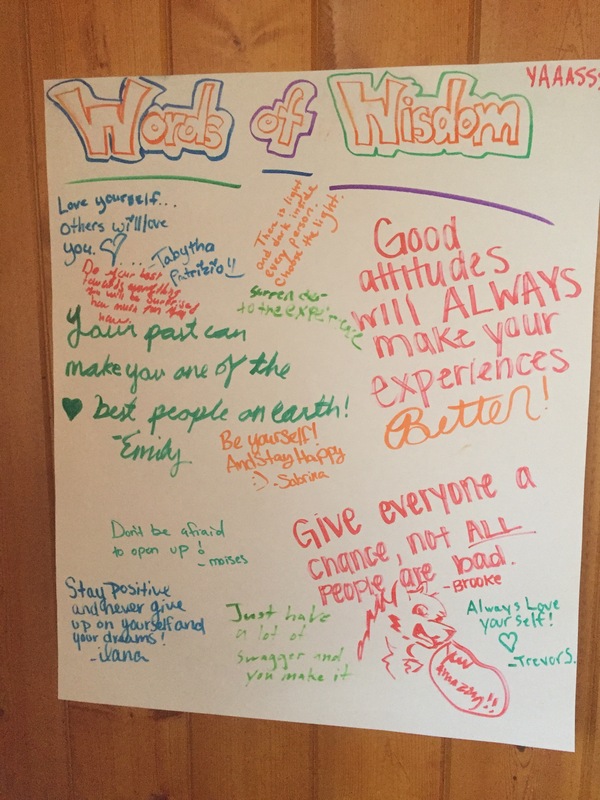 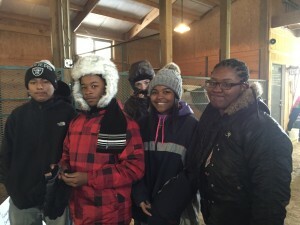 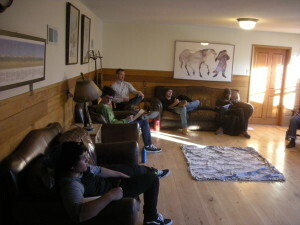 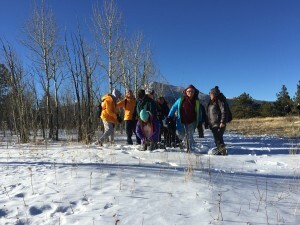 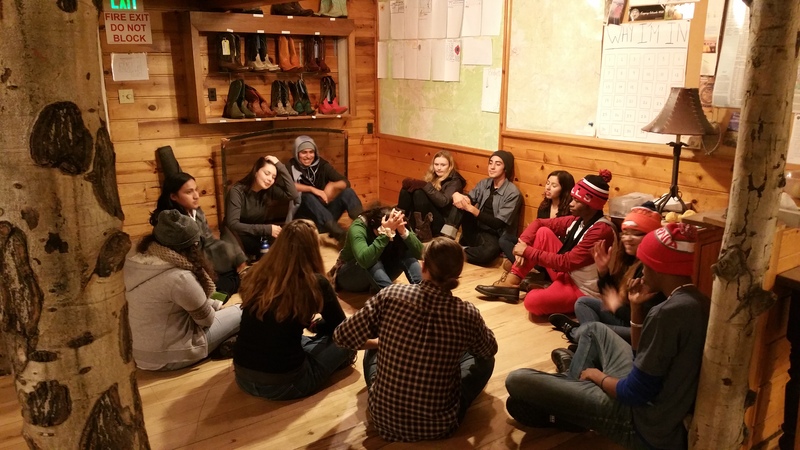 Other activities in which students participated to help warm up after the cold outdoors include Ranch Beautification, and leadership lectures. 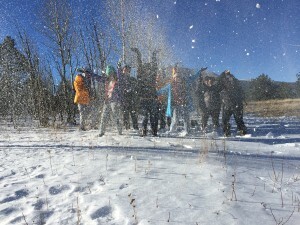 The students are definitely having a blast! 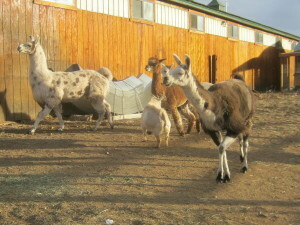 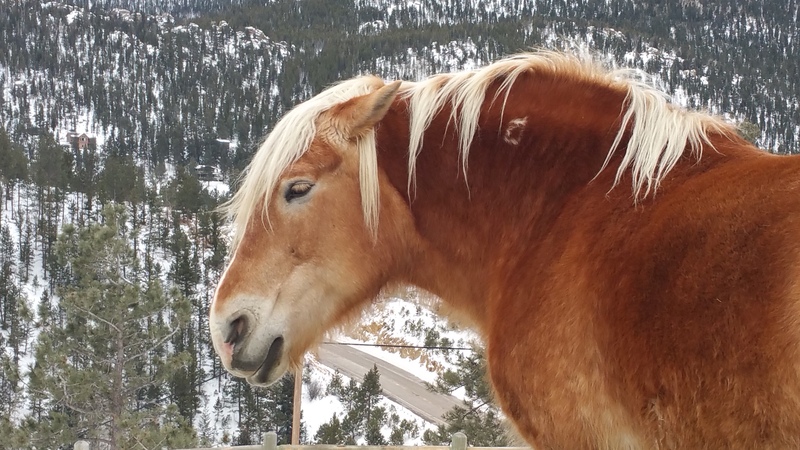 Rocky Mountain Pathways Ranch would like to give a shout out to Sherpa for donating eight amazing winter jackets. 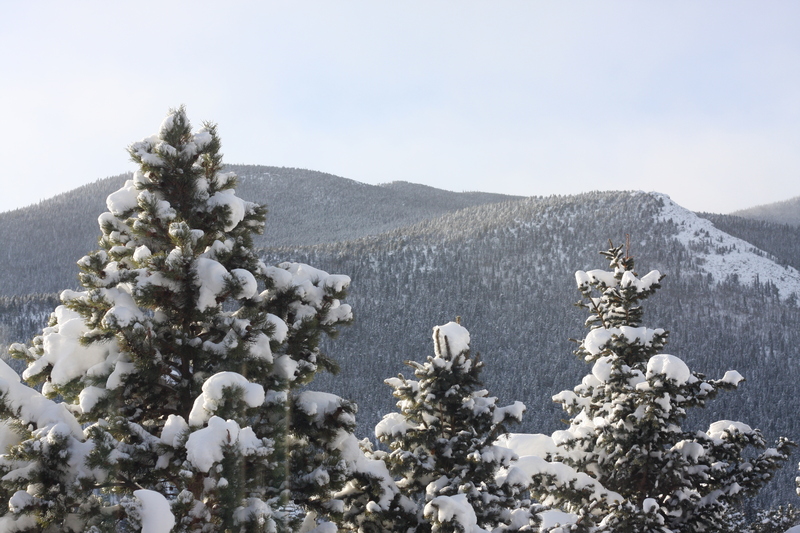 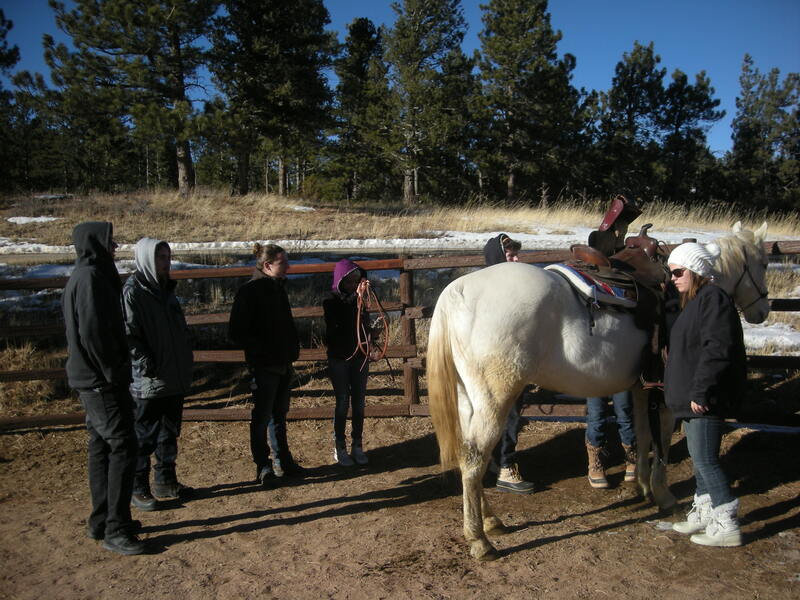 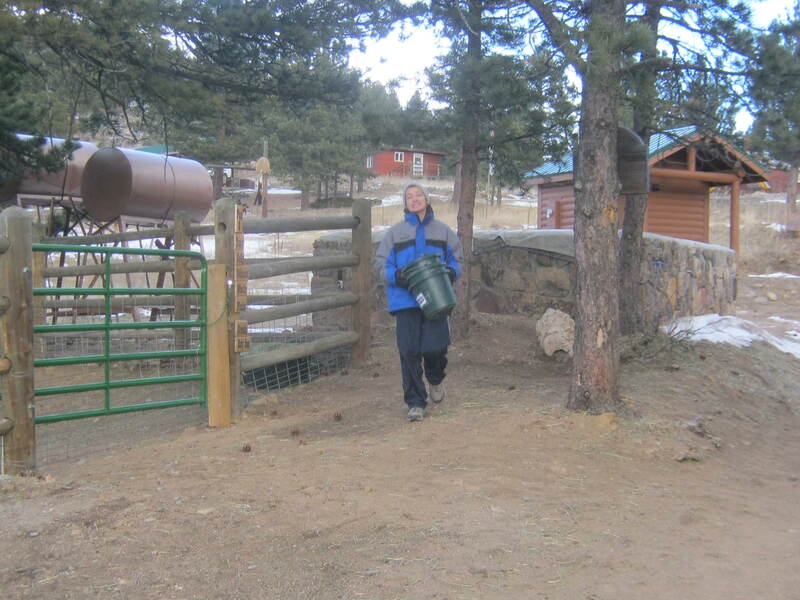 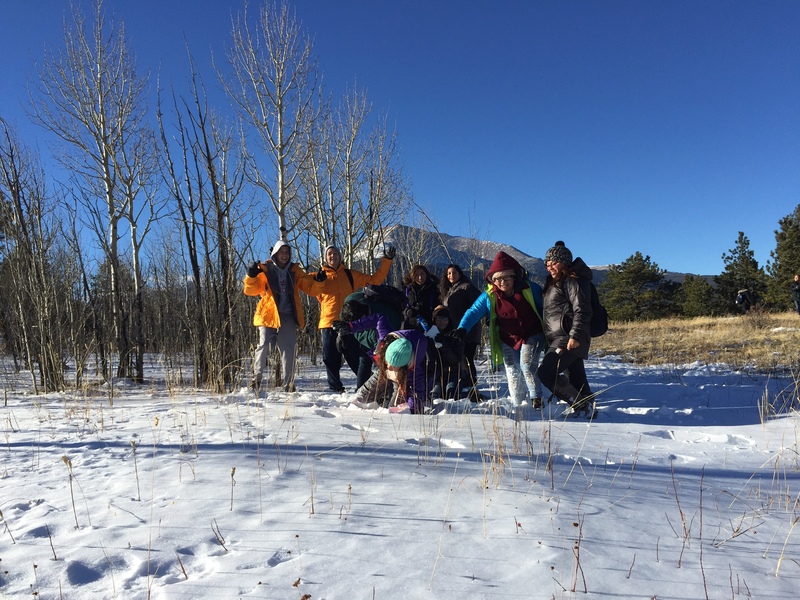 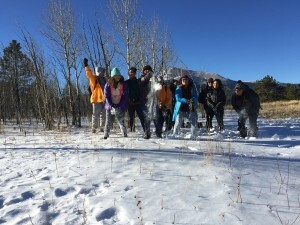 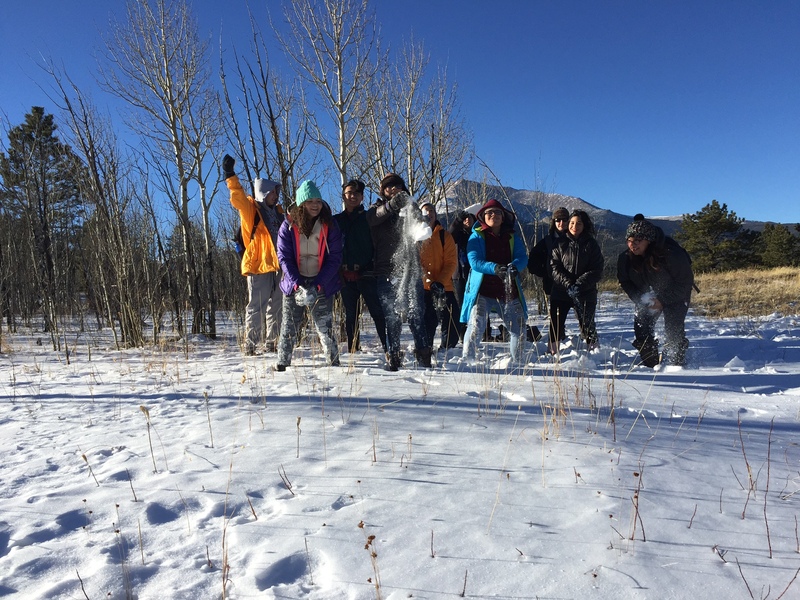 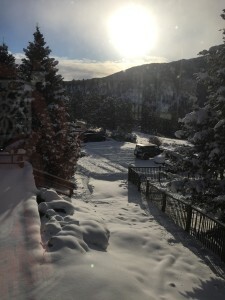 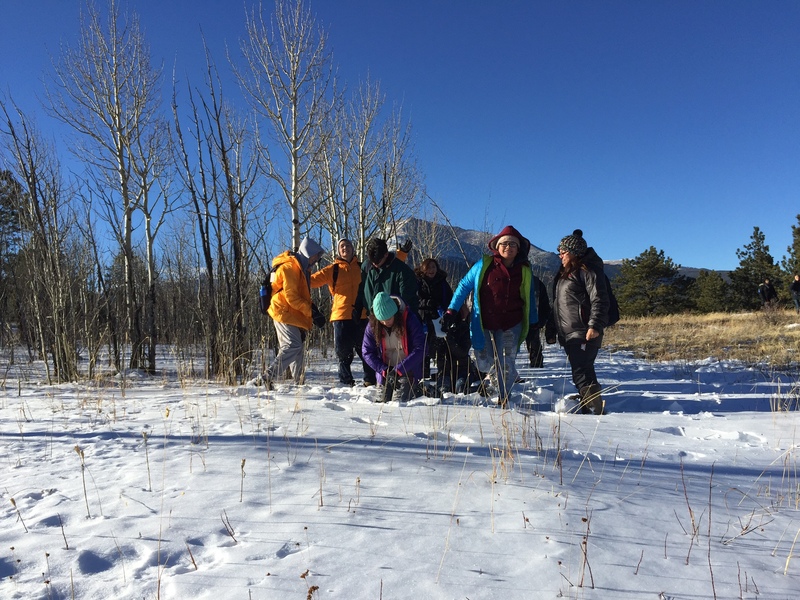 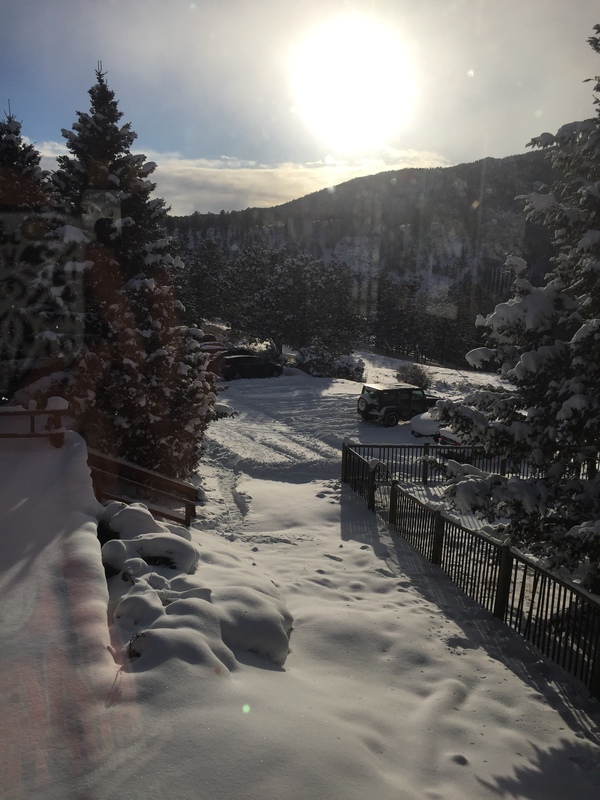 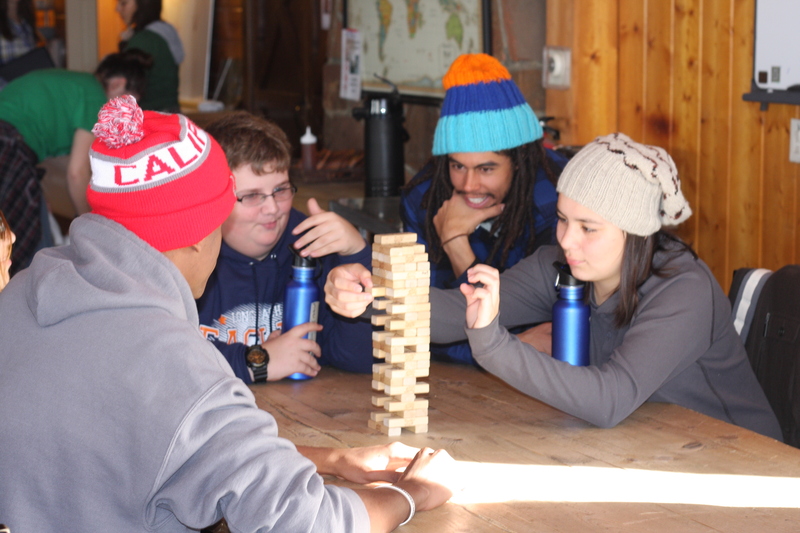 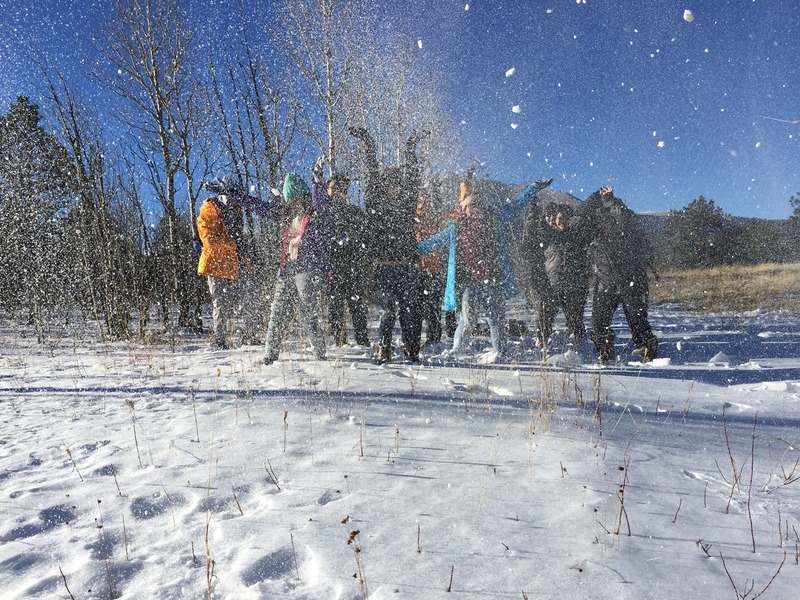 Our students really enjoyed keeping warm while they played in the snow and traversed the mountain trails of Colorado. We greatly appreciate your generosity and your gift will continually keep many students warm throughout the winter seasons. 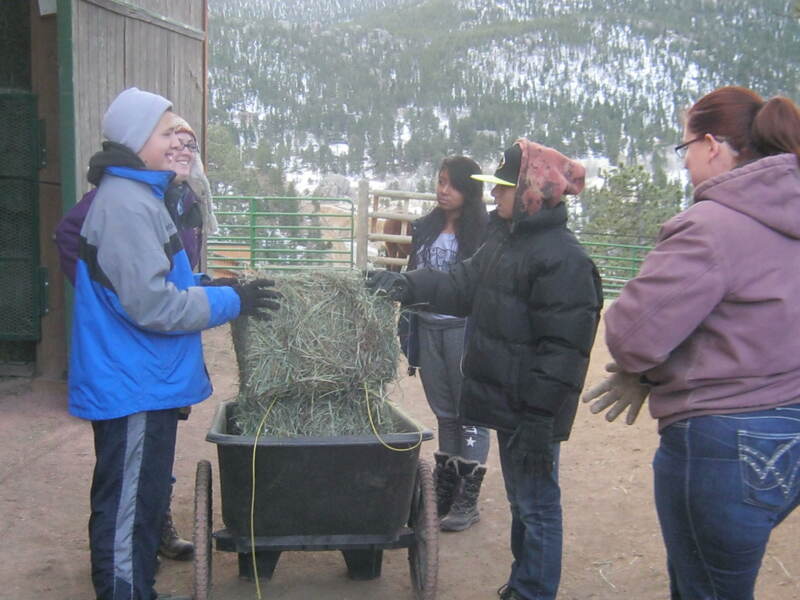 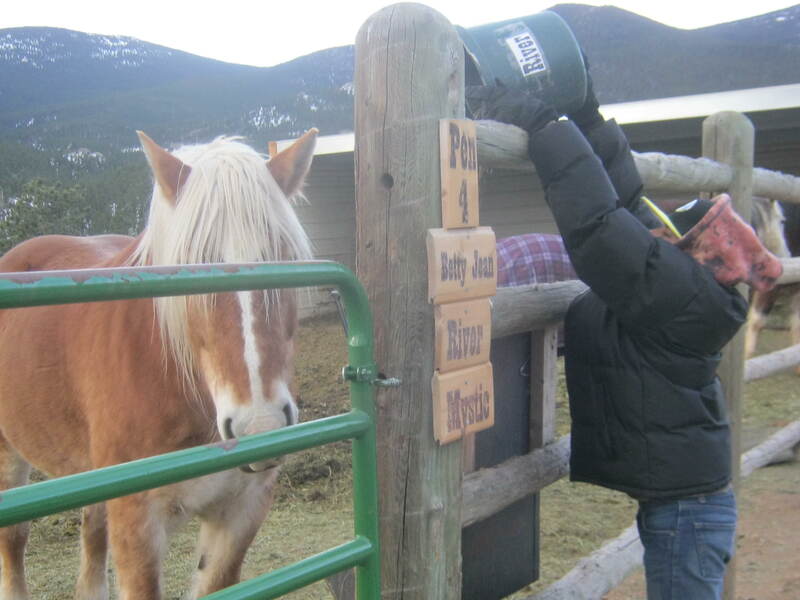 Students helping ranch staff feed our Rocky Mountain Horses. 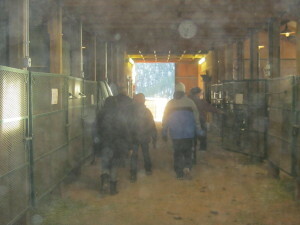 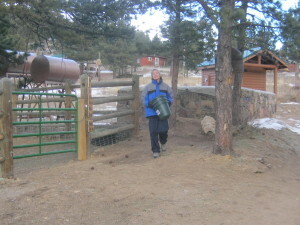 Student arriving to help out the ranch staff at the ranch barn in the morning.